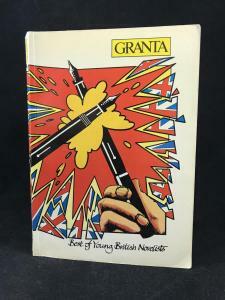 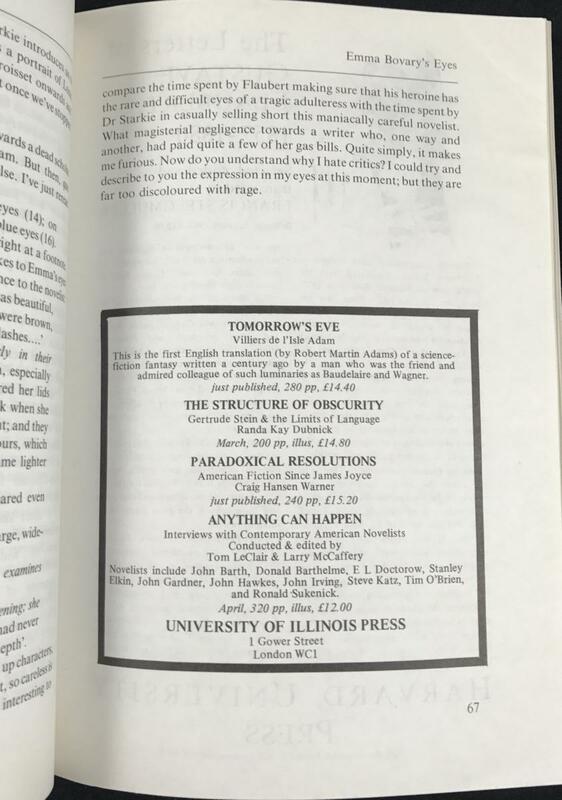 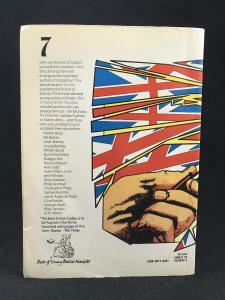 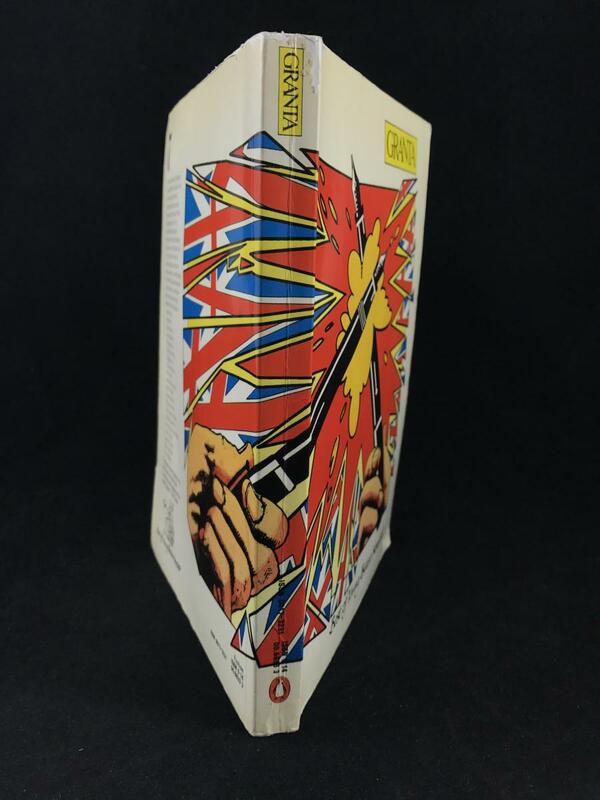 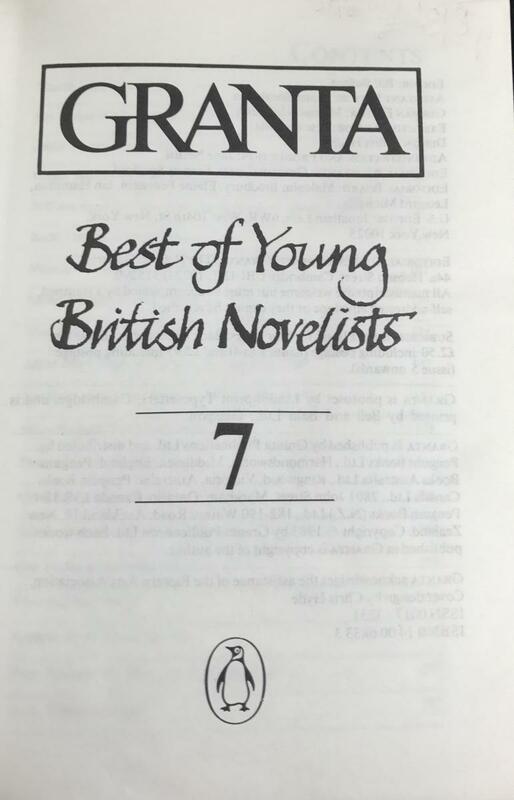 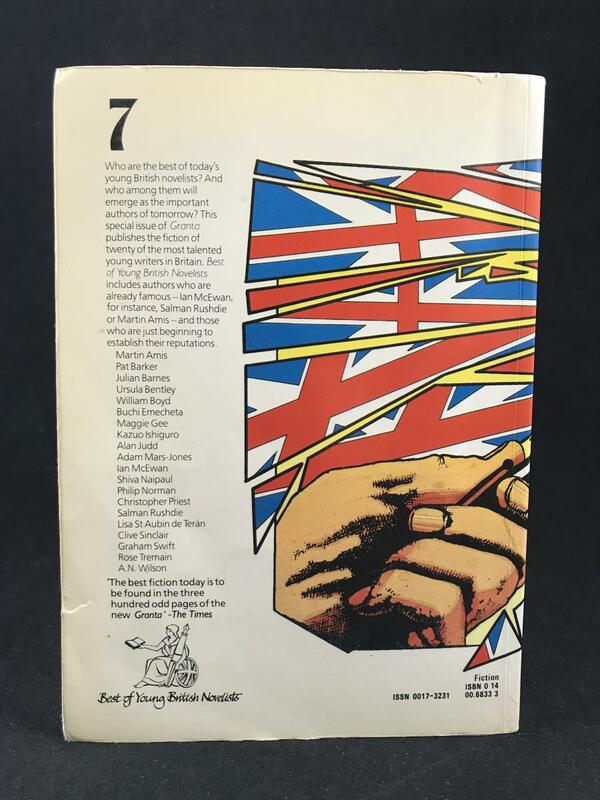 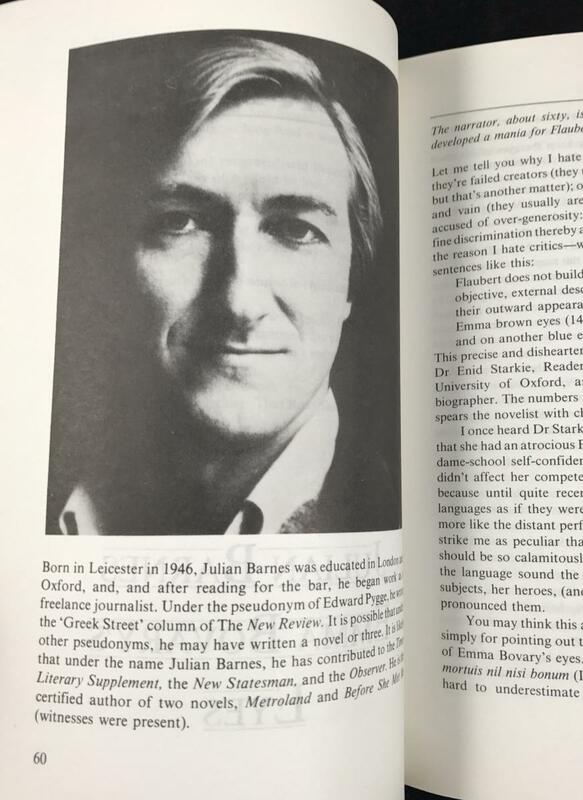 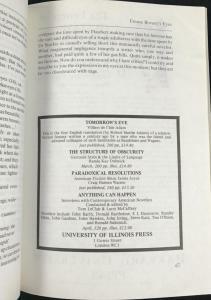 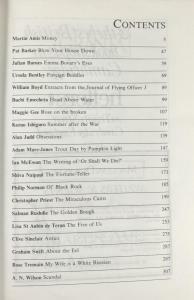 Notes on this edition: Granta: Best of Young British Novelists, issue 7 (Granta, 1983). 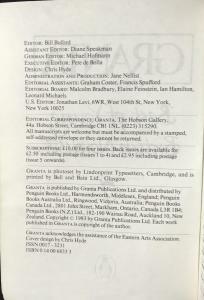 ISSN: 0017-3231; ISBN: 0140068333. 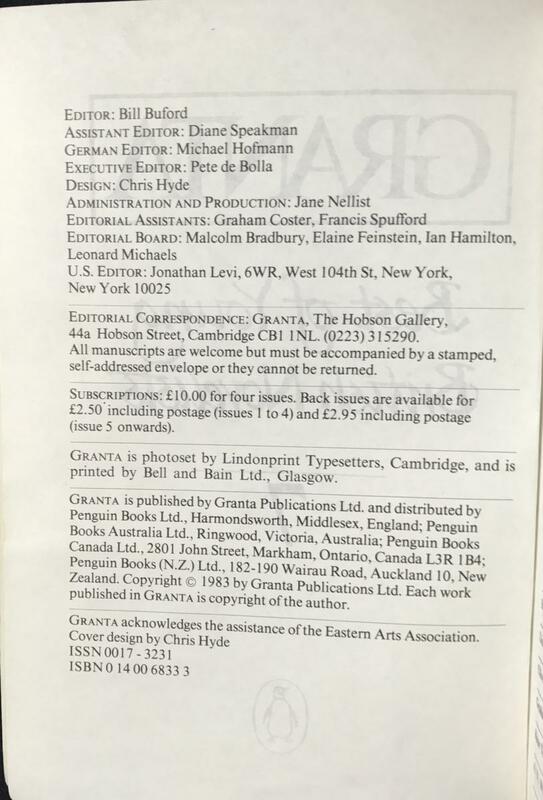 Edited by Bill Buford and distributed by Penguin Books. 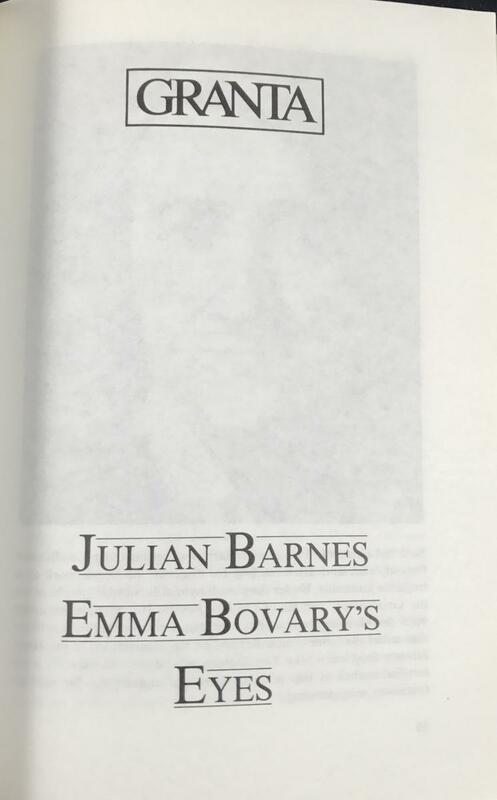 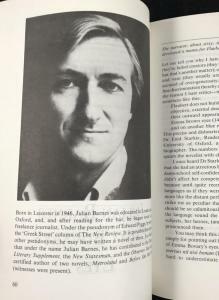 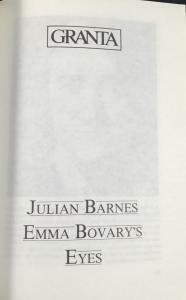 First appearance of Julian Barnes’s story “Emma Bovary’s Eyes” which later appeared as a chapter in his novel Flaubert’s Parrot. 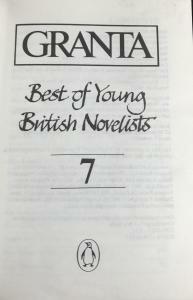 The Granta version contains some textual differences from the finished novel and appears on pages 59-67. 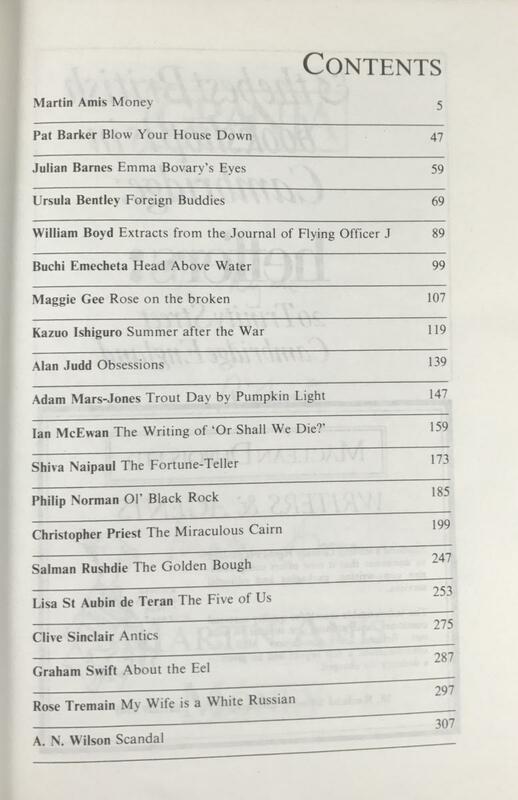 Other authors featured in this collection include: Martin Amis, Pat Barker, Ursula Bentley, William Boyd, Buchi Emecheta, Maggie Gee, Kazuo Ishiguro, Alan Judd, Adam Mars-Jones, Ian McEwan, Shiva Naipaul, Philip Norman, Christopher Priest, Salman Rushdie, Lisa de Terán, Clive Sinclair, Graham Swift, Rose Tremain, A. N. Wilson.